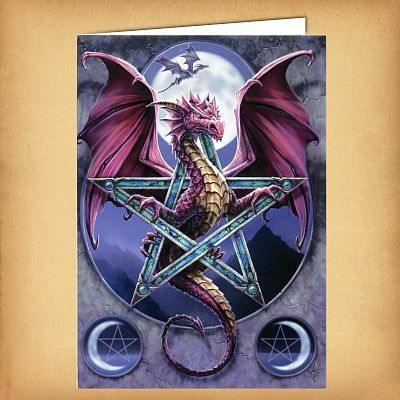 - Crescent moons and pentacles underscore the elemental power emanating from the red dragon's flight. 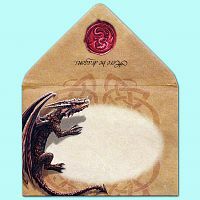 Card measures 6 3/4" by 4 3/4". 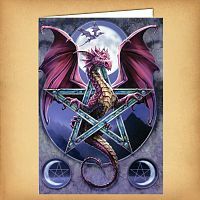 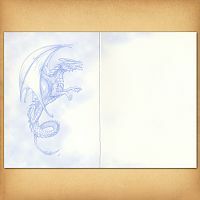 Do you have any other questions about our Lunar Magic Dragon Greeting Card?